One of my favorite images from Zoe's session... so sweet! 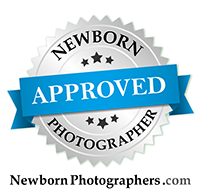 Remember that I do have outfits for your newborn to wear during his or her session! I've worked very hard to find beautiful outfits for the studio! This particular adorable outfit is by Mia Joy Studio headband by Prop Me Up Shop.